We absolutely adore this ABC Bus by Fiesta Craft Toys. It’s impeccably detailed, beautifully made, extremely educational and (most importantly) great fun. 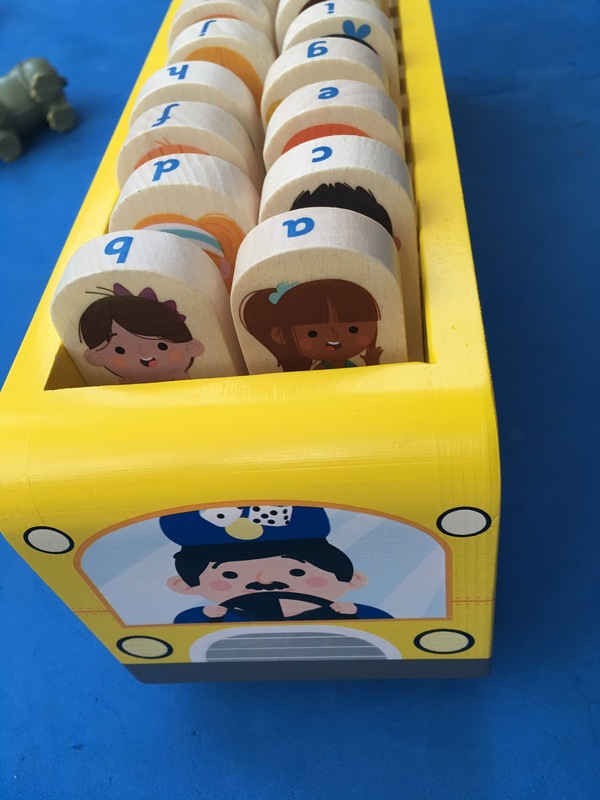 Made of wood, this toy bus contains 26 wooden ‘children’ with names and pictures on the front and their corresponding letter of the alphabet on the reverse. Each piece fits neatly in its matching letter slot ‘seat’ in the bus. Upper case and lower case letters displayed- such an important feature for children learning the alphabet. Diversity of the pictures of the children- we loved that the pictures of the children reflected real life people. With their varied names, different hobbies, skin colour, clothes, hair and the inclusion of children with disabilities. Multifunctional- this bus can be used in a number of different ways, which makes it suitable for a range of ages and abilities. For example at the most basic level: the bus itself can be used as a stand alone vehicle toy. 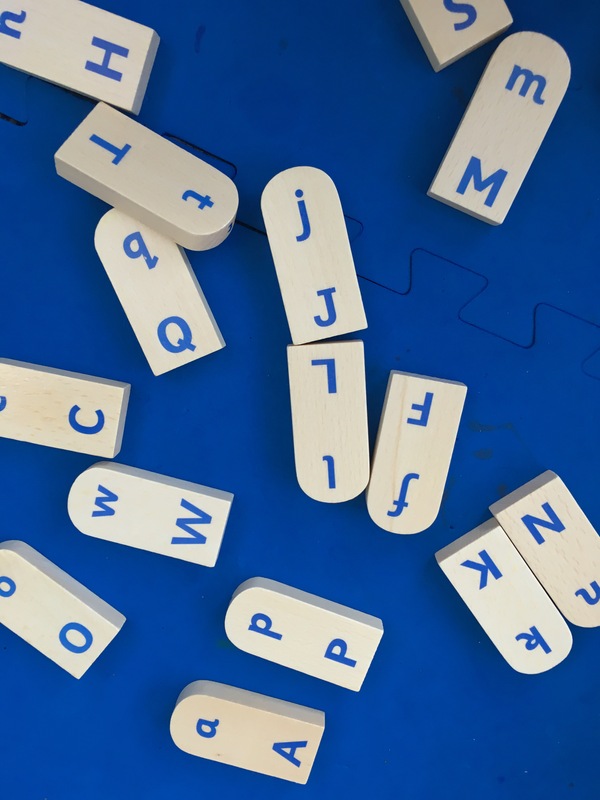 In terms of teaching the alphabet, the pieces can be matched to their letter ‘seat’. 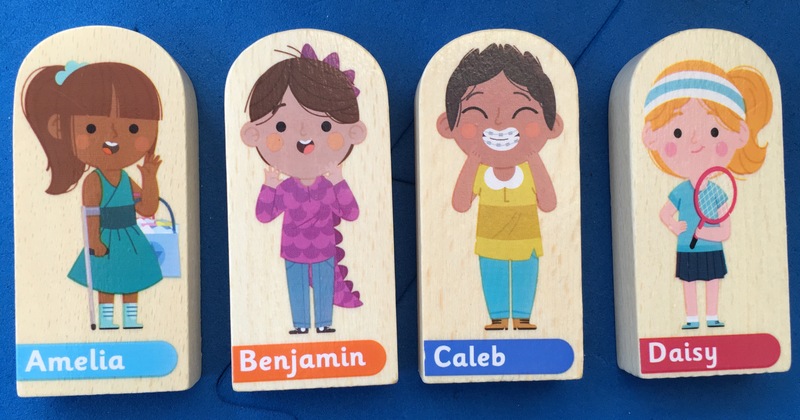 Children can also use the pieces as ‘flash cards’ to be quizzed on the alphabet or to say the letter each ‘child’s’ name begins with. They can also try to put them in alphabetical order. For even more Play Ideas see Fiesta Craft Toys’ website. Bright colours– we love how bright and colourful this toy is. It appeals to children and encourages them to play with it! Imaginative Play- My kids loved playing with the bus and pretending the ‘children’ were waiting for the bus, then going to school. Fabulous toy for children who are about to have their first day of school, helping them to prepare for the big day through imaginative play. 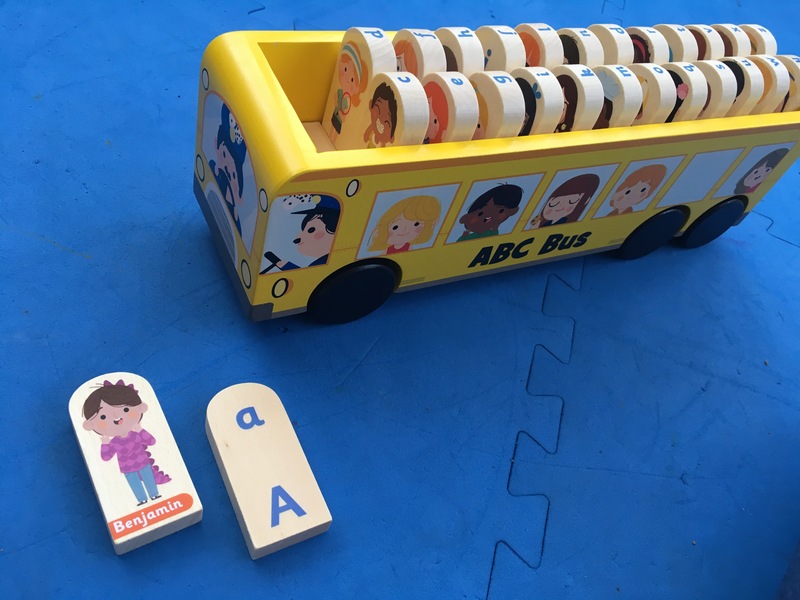 Learning through play- The ABC Bus is very educational but without children realising it! All the best learning happens through play!